The water conservation technology appears less sustainable than previously thought. A new research paper published today in the journal Nature Sustainability throws some shade on a famous — well, relatively famous — water conservation technology. 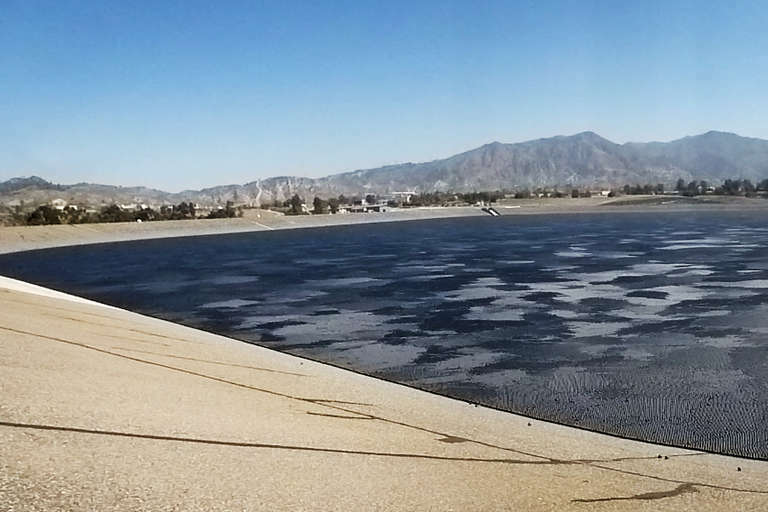 In 2015, in the midst of a severe drought, California officials deposited more than 96 million shade balls into the Ivanhoe Reservoir in Los Angeles. About four inches in diameter, the small polyethylene balls were designed to provide a floating cover of shade and prevent sunlight from beating down on the reservoir's water supply. The idea was to reduce water loss via evaporation and also to prevent certain chemical processes from triggering due to the intense direct sunlight. Images of the shade balls quickly went viral amid publicity surrounding California's extended drought. But the newly published research confirms what many critics have long suspected: The shade ball approach wasn't quite the quick-and-easy solution that it first appeared to be. According to the research team, the shade balls saved about 1.15 million cubic meters of water each year by preventing evaporation. However, the cost of manufacturing the balls costs around 0.25–2.9 million cubic meters of water, when you factor in the water resources required to manufacture the polyethylene in the first place. In other words, the amount of water needed to produce the shade balls appears to be greater than the amount of water saved by preventing evaporation. The authors conclude that the shade ball method of water conservation only works if the balls are kept atop a reservoir for a sufficient amount of time. Depending on how you crunch the numbers, the shade balls don't actually start saving water until they've been afloat for several months or even years. Los Angeles has largely phased out the shade balls, replacing them with more traditional tarps and coverings. But the concept remains in circulation elsewhere as a water-management strategy. One recent proposal suggests the balls could be replaced with the equivalent of 12-sided dice. This isn't the first time that the LA shade ball strategy has been criticized. Federal law requires that drinking water reservoirs be covered, and so the shade ball program was one of several considered by LA city planners prior to 2015. Critics contend that it was chosen primarily because it was cheaper than other solutions, like giant roofs or tarps. But even the budget angle has been criticized. According to an oft-cited LA Weekly report, the shade balls cost $34.5 million to manufacture, but they save only $2 million per year. What's more, the shade balls need to be replaced every ten years. Do the math and that's $20 million of water savings for every $34.5 million of balls. The new research suggests that, while shade balls made for good headlines and viral videos, the problem is going to require a bit more effort.